The bathroom is one of the rooms that you can’t stay away from. Apart from the bedroom, it is where most people begin and end their day. A clean and impeccable bathroom should be the epitome of everyone. Renovating the whole bathroom may be expensive but there are other ways that you can spruce it up so that it can appear new gain. 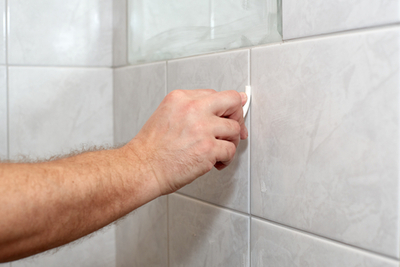 Brisbane Grout Cleaning services may help you in this ordeal. Grout is one of the biggest culprits that makes your bathroom appear dull it also promotes the foul odor that sometimes emanates even from clean bathrooms. This white paste is formulated by mixing cement, sand, and water to produce a thick paste. This paste is for sealing any space that is left when tiles are laid out and also to hold the tiles to the surface. This Dirty grout promotes a dull looking bathroom and water that may have seeped between the grout may bring about a foul odor. This water can also be the breeding ground for mold, mildew, and limescale. Therefore the key to a better-looking bathroom lays in the cleaning, removal, and maintenance of grout. The most basic way to acquire a clean bathroom is to clean the grout. You can do this regularly on your own. However, over the cause of time. The grout might allow dirt, limestone, and grease to penetrate it. This will end up being a breeding ground for unhygienic elements such as mildew, mold, and lime scale. Remember that they will also bring a pungent smell in your bathroom. The use of shampoos, bath gels, and soaps that contain acid, might cause the discoloration of the tiles, bath, shower and grout joints. Therefore you should invite a professional who can clean these stains and grout efficiently so that the stains can go away. After cleaning the tiles and grout are thoroughly dried before the grout are resealed to create another barrier that will prevent the dirt and grime from building up faster. Grout lines can be sealed professionally by grout sealers. This is done after the grout and tiles have been aired completely. These prevent any kind of porous agents from penetrating the permeable grout. The kind of grout sealer used should be able to protect the grout from any kind of liquid, food, impurities and dirt penetration. However, you should always be vigilant because some types of grout sealers used by unscrupulous businessmen will not necessarily do the job effectively as some of them tend to lock in undesired water instead of keeping it out. Use water based strengthened sealers for the best results. After sealing the grout lines. You can paint the grout lines and even the tiles to brighten the color of your bathroom. This facelift will rejuvenate the whole bathroom and make it look new again. However, you can also darken or lighten the color of the grout if you don’t feel like changing it completely.Apart from the grout lines, other ways of brightening the bathroom include adding, changing or relocating the fixtures, putting up wall hangings or artwork, putting up wallpapers, accessorising the curtains and many others.